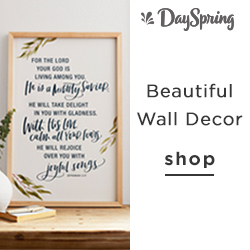 This page is a list of Bible storybooks that do not have pictures or drawings of Jesus Christ, which you may be looking for based on your interpretation of the second commandment. Under the umbrella of reformed theology, there are people who are convicted against using resources that have pictures or drawings of Jesus Christ based on their interpretation of the second commandment. I've already received a few questions from readers about recommendations for this very issue! So I've compiled them here so you can quickly click through and find what you're looking for. Even if you do use other Bible storybooks that have pictures for pedagogical reasons, this list is still great - I mean, can you have too many Bible story books in your home? I'd love your feedback! Let me know what else should be added to the list! Note: Some links in this post are affiliate links. If you click through a link, I may receive a small commission. You can read our full disclosure policy here. This section includes storybook versions of the Bible that do not contain any kind of image of Jesus. I've put the books (roughly) in order from youngest reading level to oldest. Little Hands Story Bible (144 pages) - This book is very simple, in a good way. Each two page spread has a full picture on one page and then a simple story with discussion questions on the other. This book is great for the youngest kids and we have really liked it in our house. The Little Hands Story Bible is available at Amazon and Westminster Books. 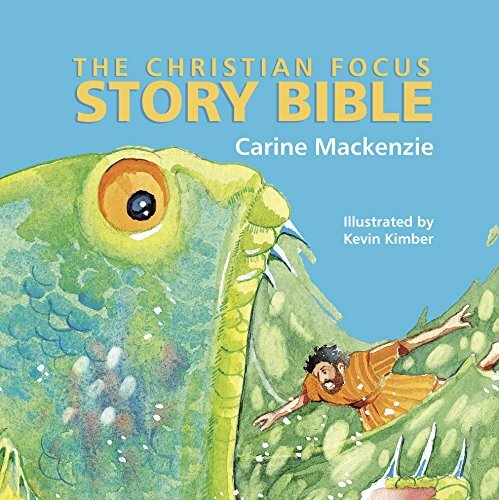 The Christian Focus Story Bible (160 pages) - I like the layout of this book as it encourages reading by the child too. The first page has more complicated text so the parent can read that aloud. The second page has a shorter summary of the story that could be read by a beginning reader. My first grader has loved doing this for a while. 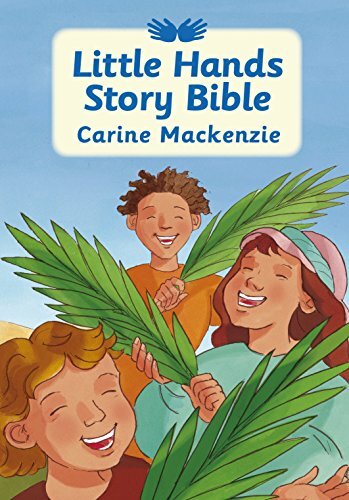 This is not the Jesus Storybook Bible, where connections to Christ are being made explicitly (so, those of us who are sensitive to Old Testament Bible stories not pointing our kids to Christ may find some stories a little more law driven). But like everywhere, you (as the parent in good conversations) can easily add those in as you read. The Christian Focus Story Bible is available at Amazon and Westminster Books. 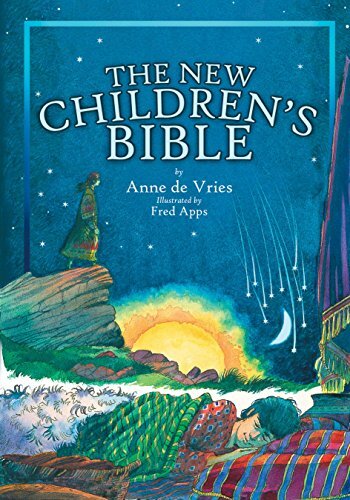 The New Children's Bible (288 pages) - This is a very popular choice as a go-to Bible storybook. The illustrations are not super engaging, but they are well done and frequent (at least one per story). It is definately more of a "read aloud" than a "picture book" but it's great for kids of different ages. Each story also lists the exact Scripture reference, which is helpful. The stories are usually one to four pages in length, which I appreciate. More detail is included for longer retellings and less for shorter passages instead of trying to force a cookie-cutter approach. The New Children's Bible is available at Amazon and Westminster Books. 365 Great Bible Stories: The Good News of Jesus from Genesis to Revelation (384 pages) - This book only has small illustrations but is also a great choice as it takes a big picture view and ties the stories together throughout the collection. This is the only one I don't have yet on this list - so I'll be grabbing it soon and will update this with more information then! 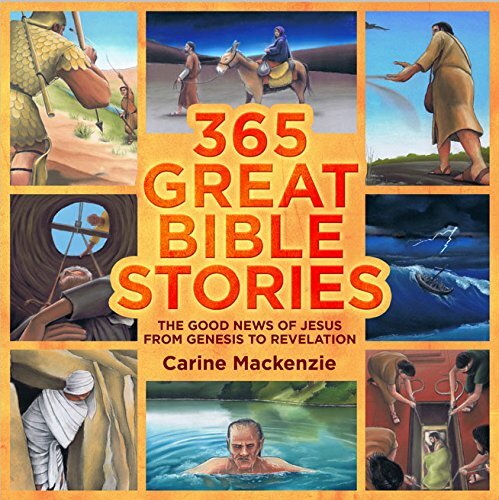 365 Great Bible Stories is available at Amazon and Westminster Books. We all know shopping online can be tricky if you are looking for something specific, like this. These two online stores make it easy for you to know what is included in every book before you buy. I've only listed a few of the Bible storybooks above, so this is a good place to start your research as you look at books for your own home library! "Westminster Bookstore Note: This book contains cartoon or artistic images of Jesus. There are many people in our constituency who, in a sincere effort to honor the second commandment, refrain from the use of any kind of drawings or pictures of Jesus, even if not intended for a worship context. Out of respect for those who take this position, we have sought to add a note to books in our children’s category which have drawings or depictions of Jesus so that they can factor that into their buying decisions, as they would if they could inspect the books physically." If you want to check out how it works, click here to see The Jesus Storybook Bible (which has the disclaimer) and here to see The New Children's Bible (which doesn't have it). Reformation Heritage Books (heritagebooks.org): They do not carry any resources that have images of Jesus, so anything you find there would work.